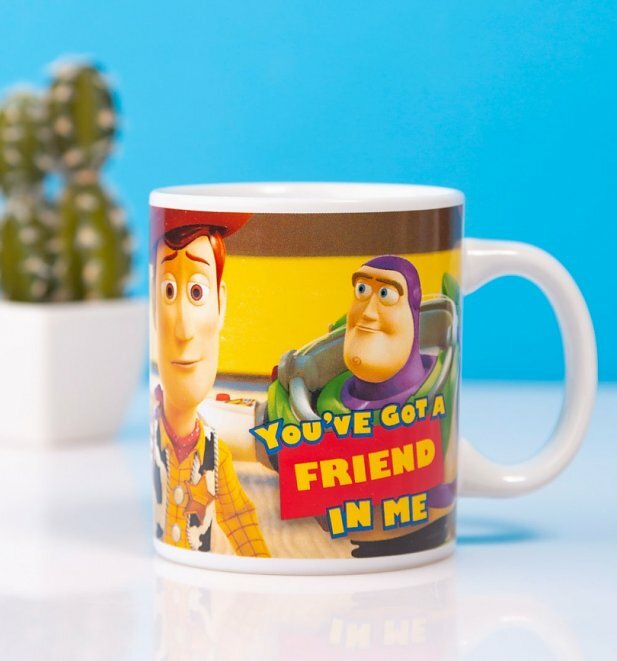 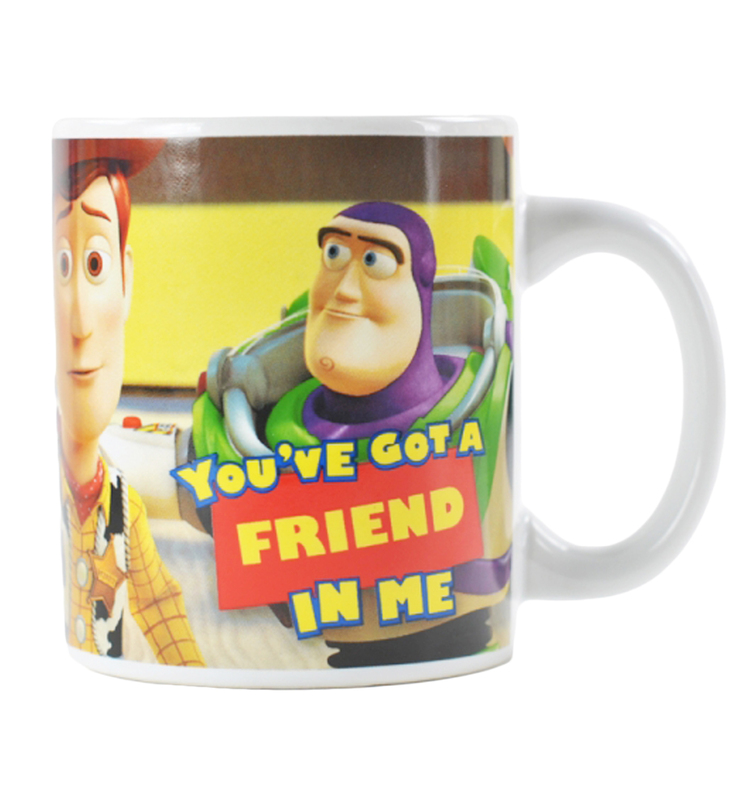 How adorable is this Disney, Toy Story mug featuring Woody and Buzz alongside the slogan 'You've got a friend in me'. 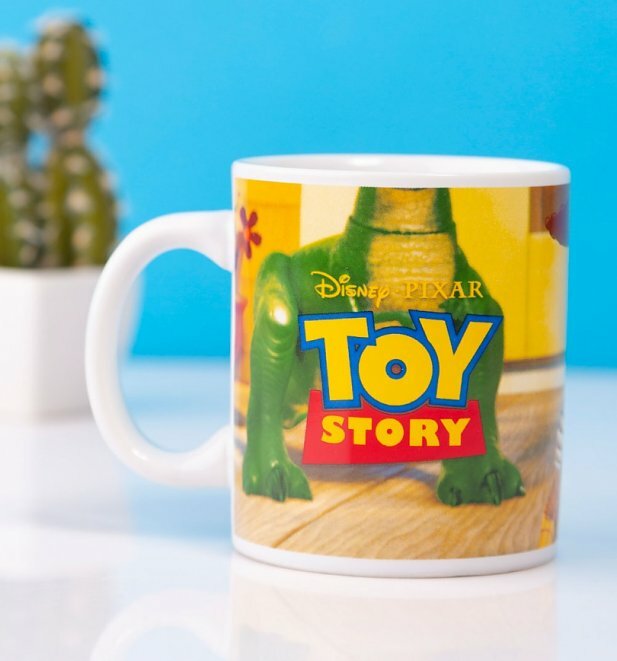 Review: Looks just like the picture. 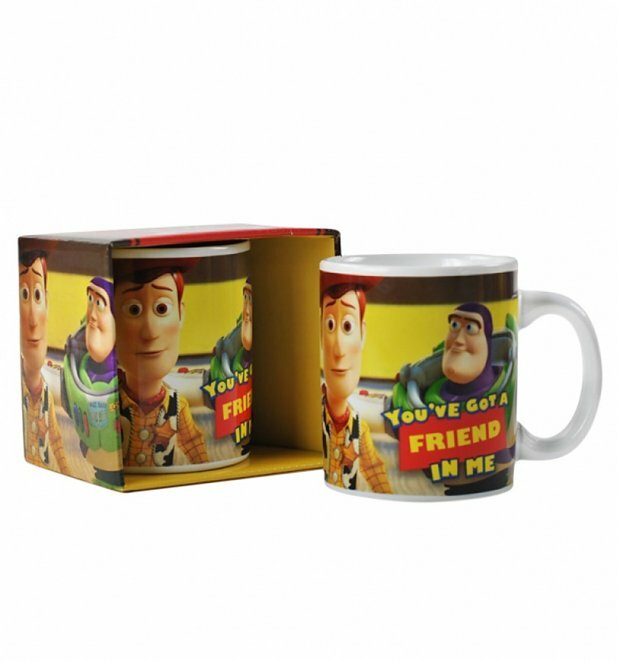 Could be packaged better.